Lot number change. 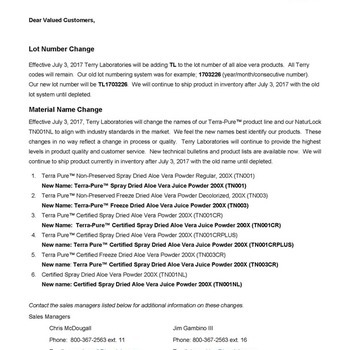 Terra-Pure & Naturlock name change. 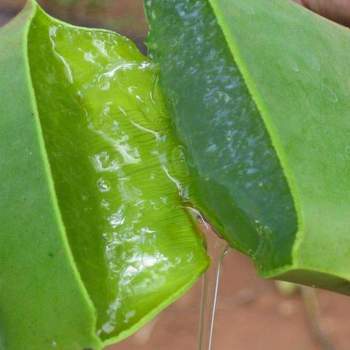 Terry Laboratories has been certified GMP as of May 24, 2017 for Aloe Vera liquid concentrates, powders and oil emulsions. 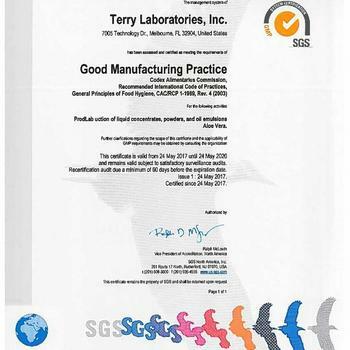 Introducing Terry Laboratories 16% total polysaccharide 200X powder. A powder 60% more active than the competition. This is in response to the most updated Prop 65 Release.